Why give to Stocks in the Future? 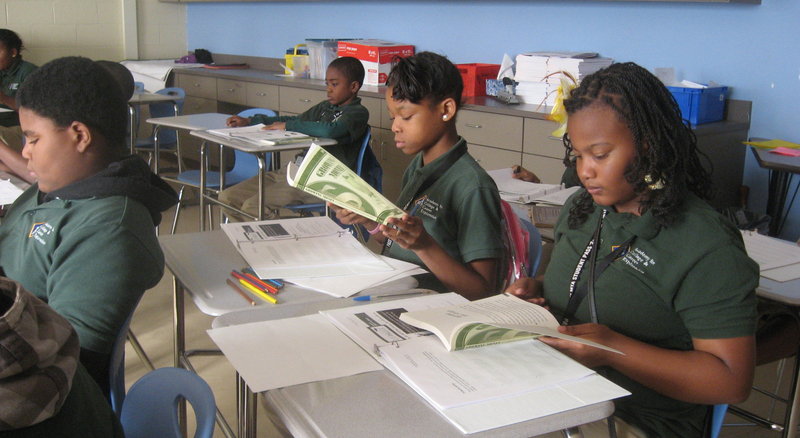 Your support is a direct investment in the well-being of at-risk middle school students. Through our curriculum, kids are given a rare opportunity to develop critical financial life skills, learn the importance of earning good grades and improve school attendance. Students understand that they have control over their SIF earnings and the power that comes from investing in themselves. Your support equips students with the tools to succeed in the classroom and thrive in their communities. 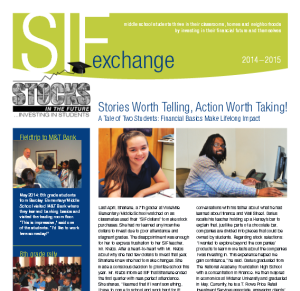 Partner with us as we envision a future where financial literacy is taught in all Baltimore-Washington area middle schools, and at-risk students are empowered by investing in stocks. Your gift will support areas such as continued revamping of our curriculum, creative educational field-trips, student attendance and investing contests, and SIF teacher professional development. 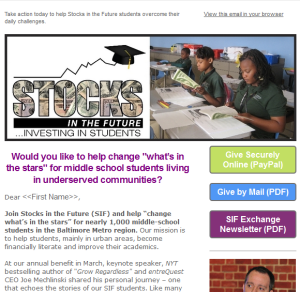 Help guarantee that each of our 1000+ middle school students enrolled in Stocks in the Future participate in a quality program this 2014-15 academic year. By sponsoring a student with a tax-deductible gift of $300, s/he will have all the necessary supplies: the complete SIF curriculum workbook, supplemental textbook, $80 incentive dollars, and unlimited access to manage an online investment portfolio. Thank you for your generous support of SIF! There are a number of other ways for you to express your support of Stocks in the Future. Employee Fund Drives – Many companies hold charitable fund drives during the Fall months, and you can designate SIF as the recipient of your pledge. If your company participates in the United Way or another charitable fund drive, you can write-in “Stocks in the Future” under the “Donor Choice” option. SIF’s Tax-ID number is 52-2323466. Your HR representative can assist you with this process. If you represent a company or foundation and are interested in learning more about Stocks in the Future, please contact Rebecca Lange-Thernes, Executive Director at rthernes@jhu.edu or 410-516-6883.